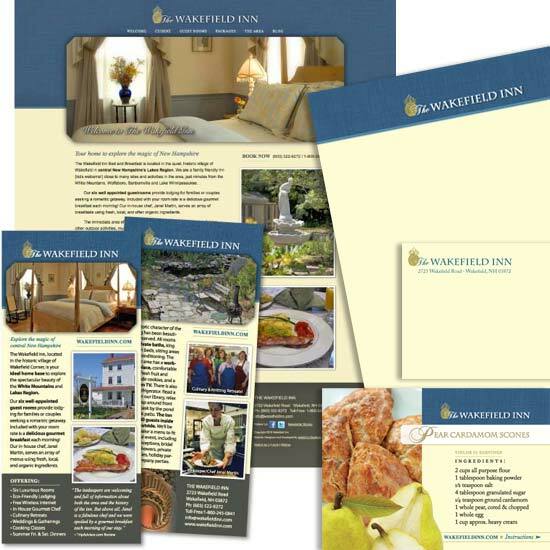 Our portfolio of branded sets shows how a consistent look and feel can tell a story. 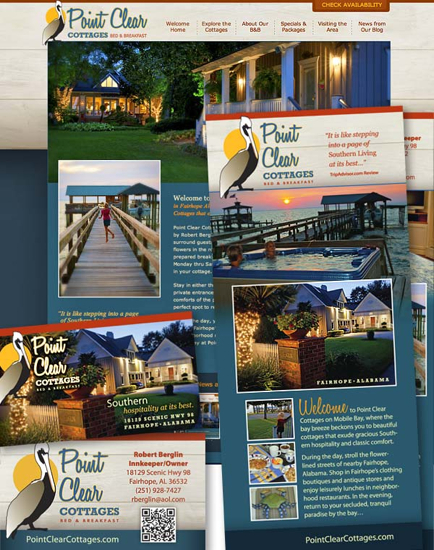 We make sure that everything we design for you, from brochures to rack cards to your website, is branded for quick and easy recognition. 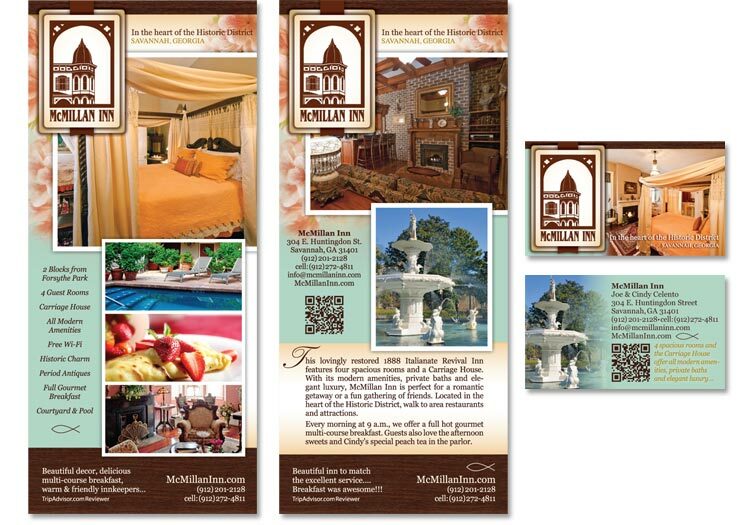 When branding your business, consistency is key. 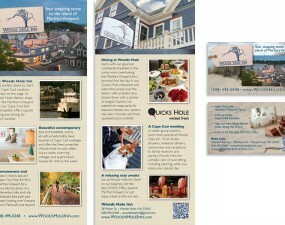 InsideOut helps you from logo design, print work, to website design. 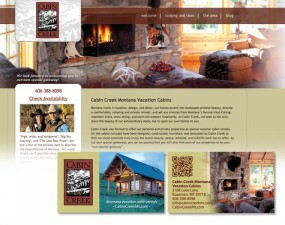 Branding your business is far more than having a logo, or even setting up standard fonts and colors. 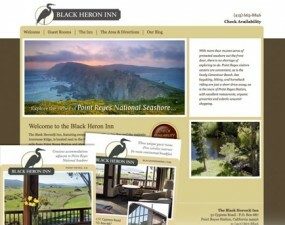 What you’re striving for is having your guests, customers and website visitors remember your business’ personality. 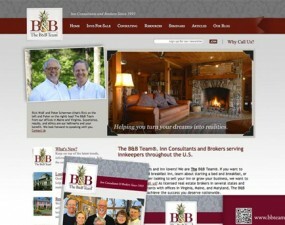 That means your marketing efforts need to speak with the same voice. 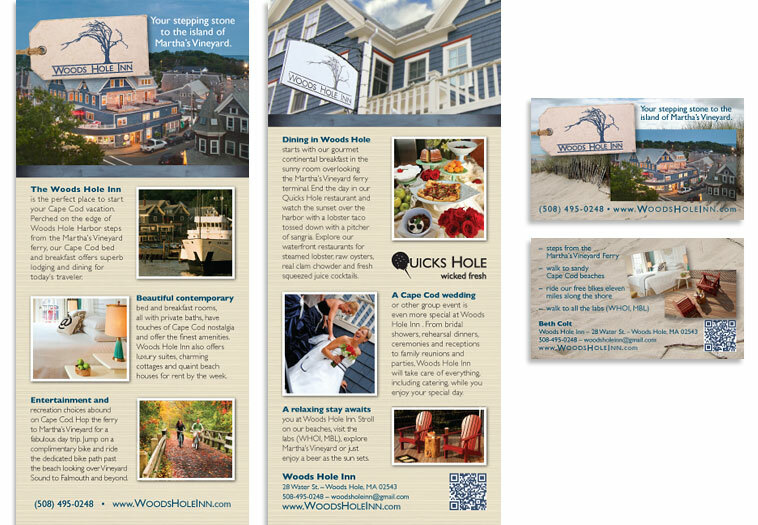 InsideOut’s team of web designers, writers, graphic designers and marketing specialists can help you with the “outer” aspects of branding. 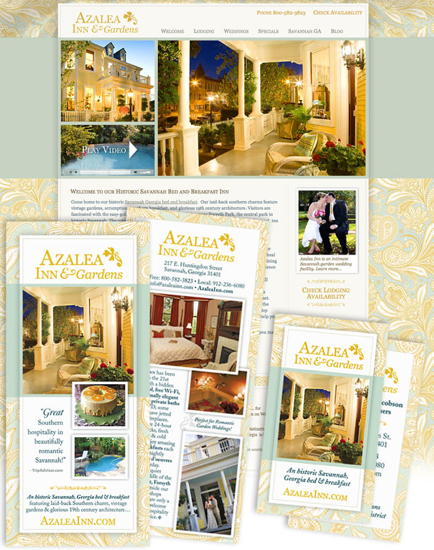 That’s the part where we design a pretty face; the beautiful website and matching print pieces you can see in the branded portfolio pieces below. 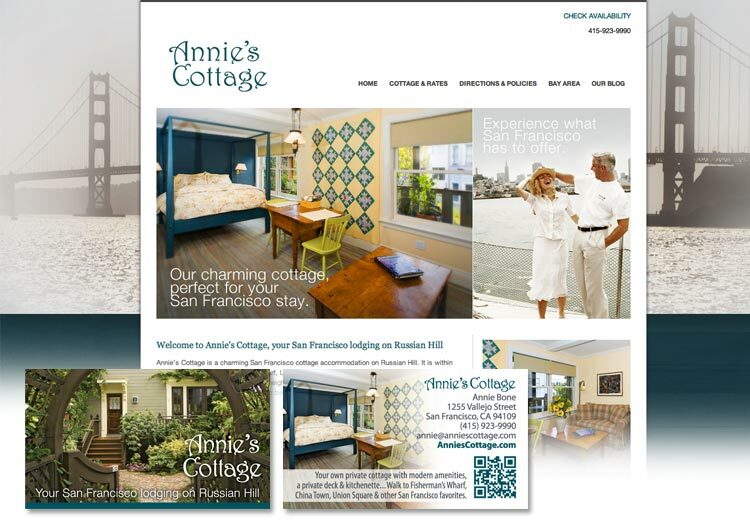 But we can also help you get into the nitty gritty… the aspects of branding that might not be as obvious: blog writing, using social media, marketing plans and picking the right keywords for online search. 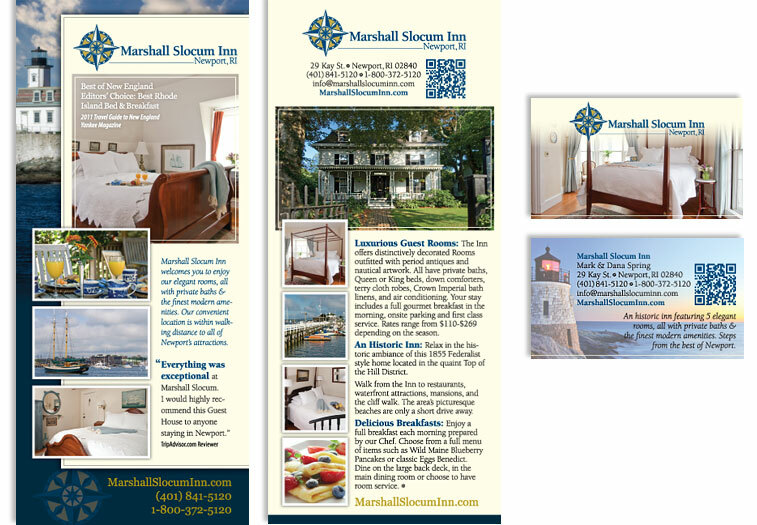 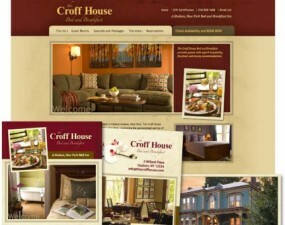 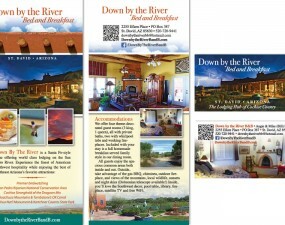 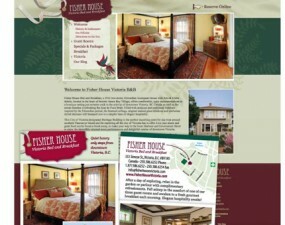 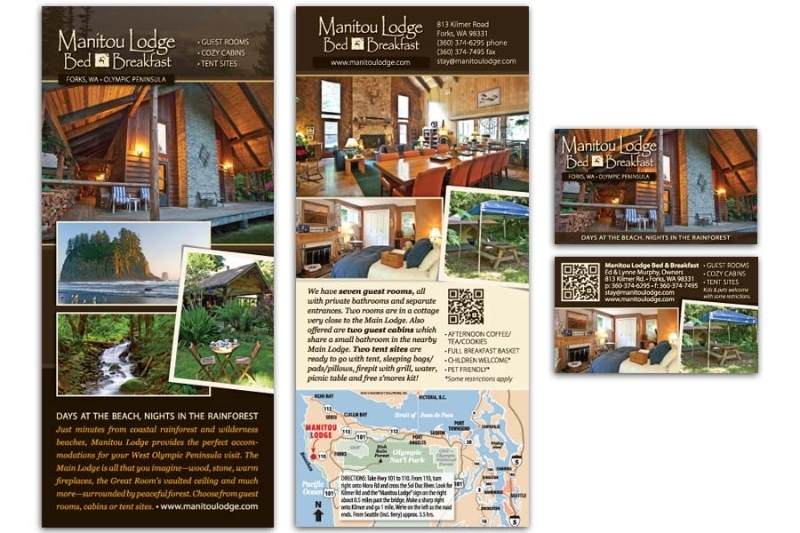 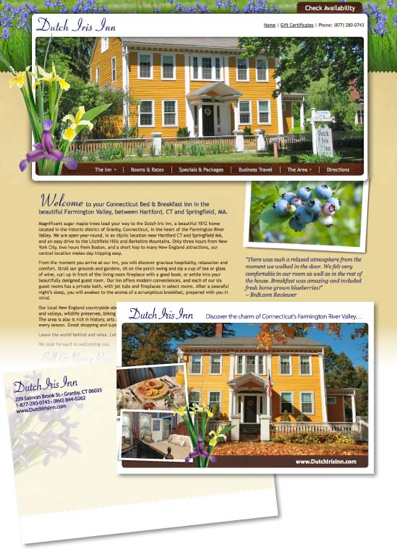 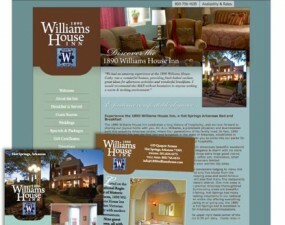 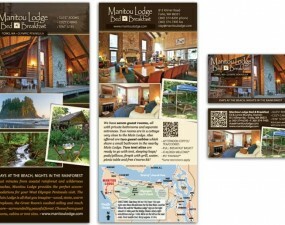 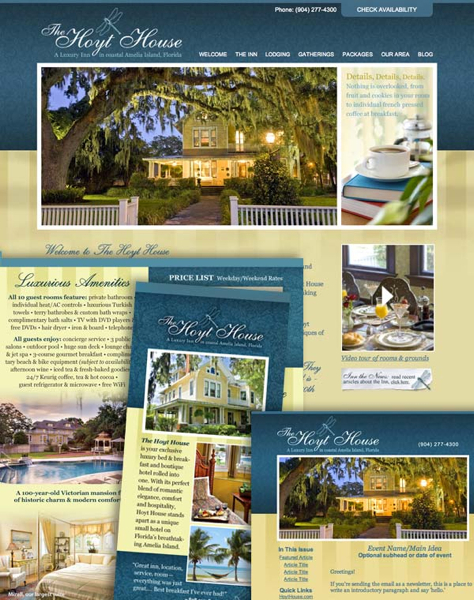 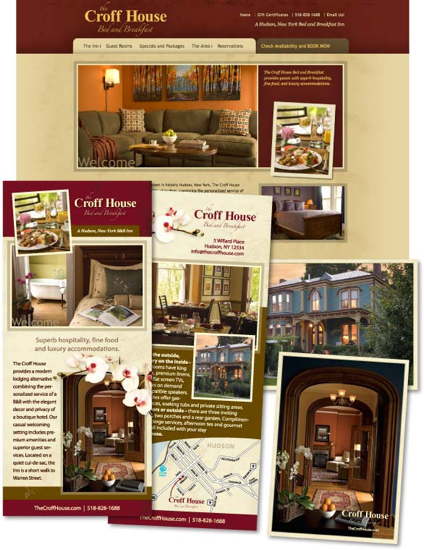 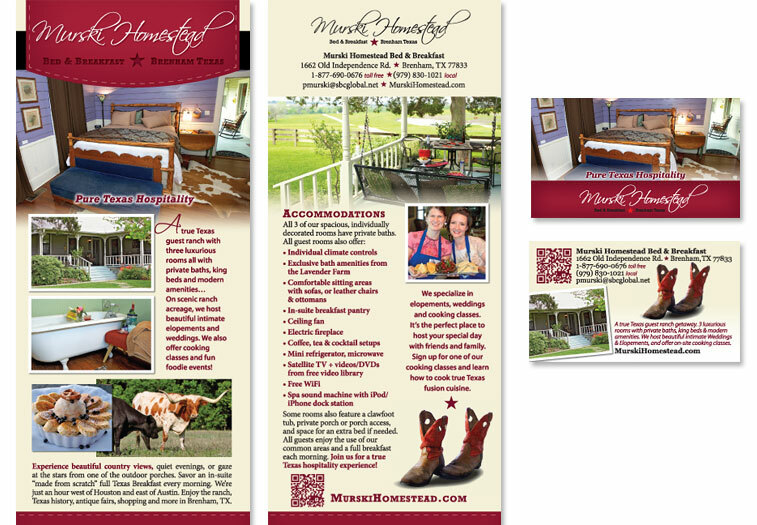 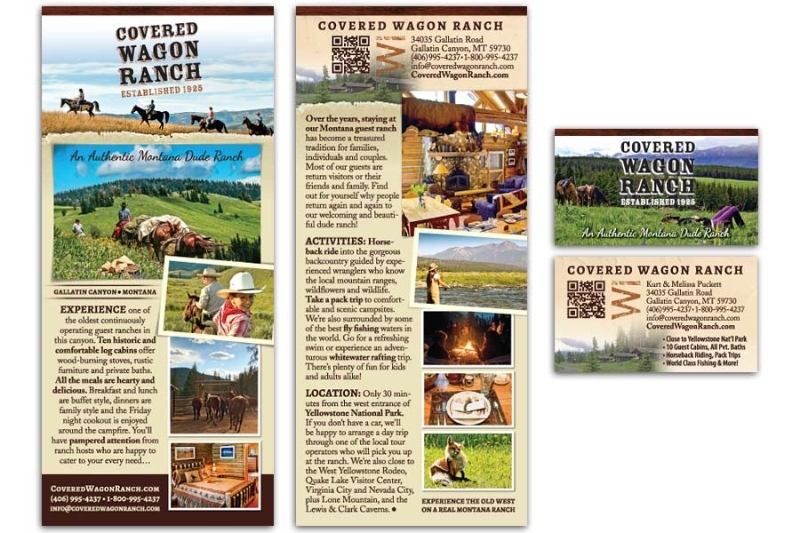 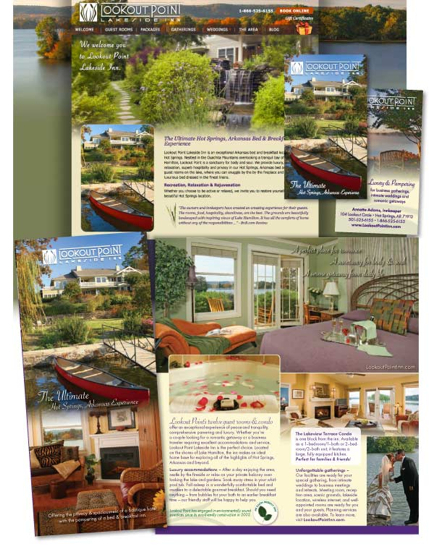 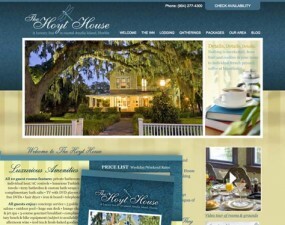 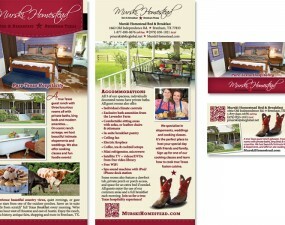 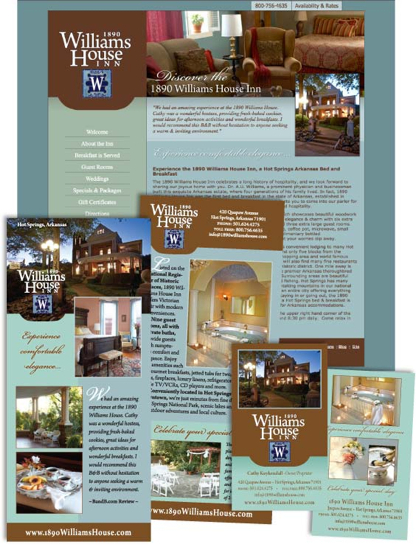 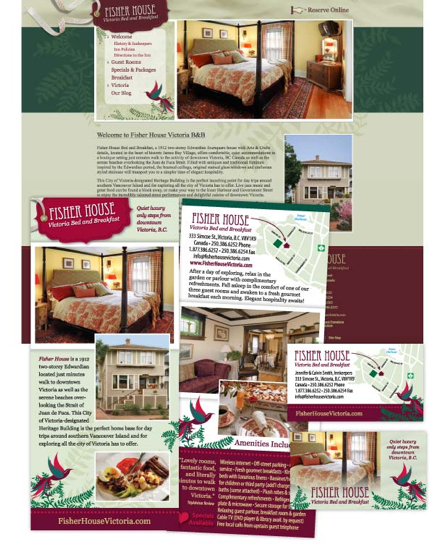 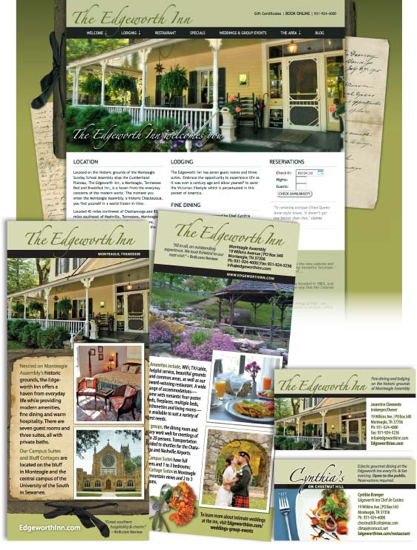 1890 Williams House: Website, rack cards and business cards. 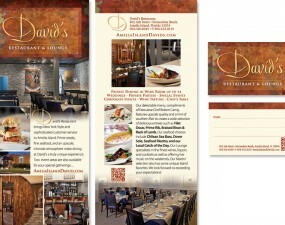 Website and custom design and printing of 1000 full color business cards. 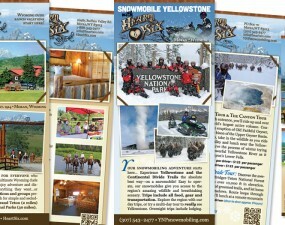 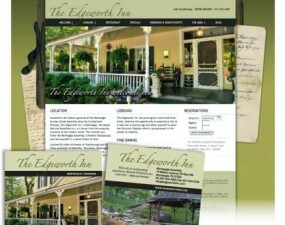 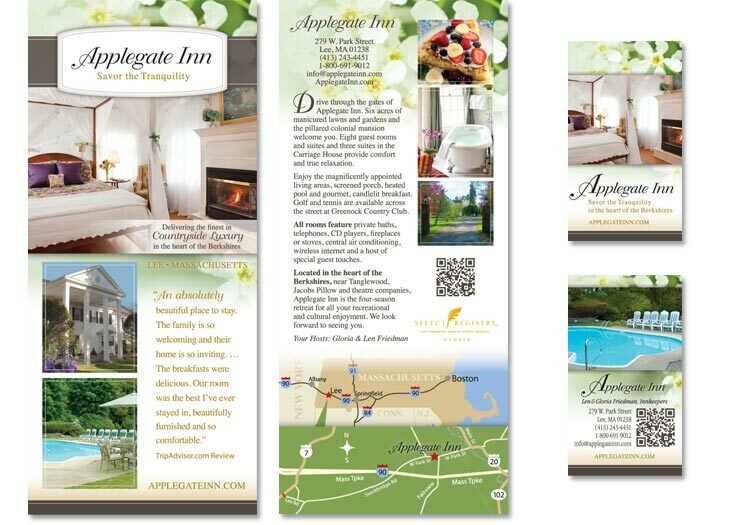 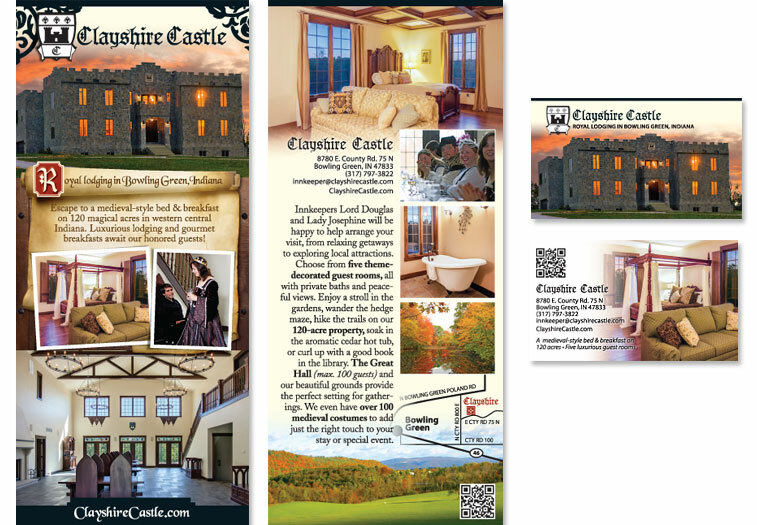 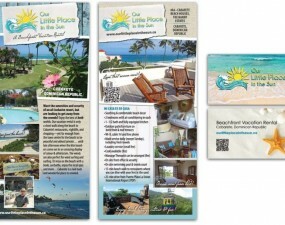 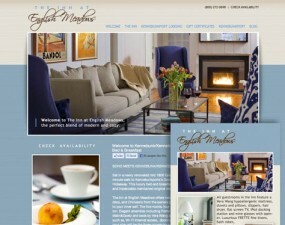 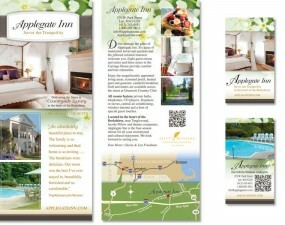 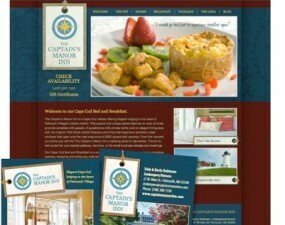 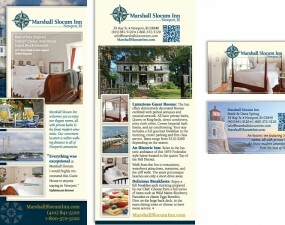 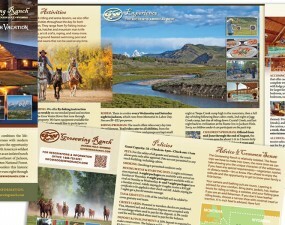 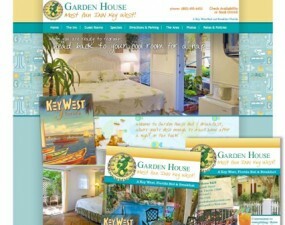 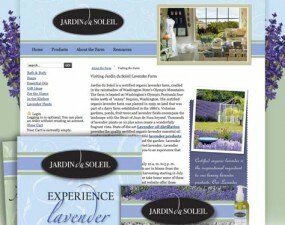 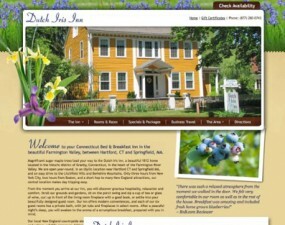 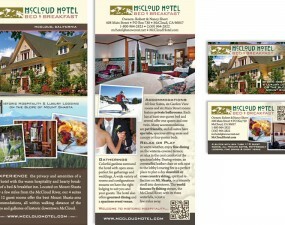 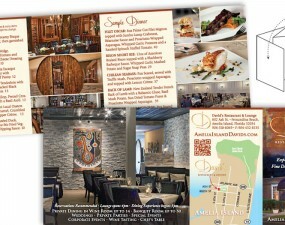 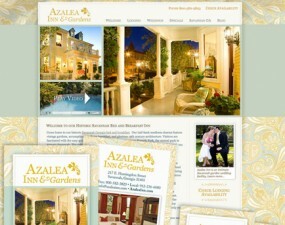 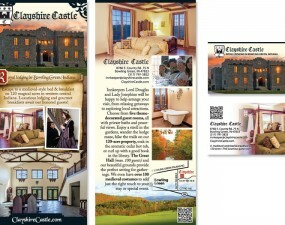 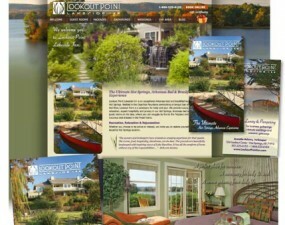 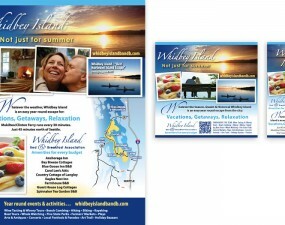 Custom design and printing of 1000 business and rack cards were created to match their website applegateinn.com. 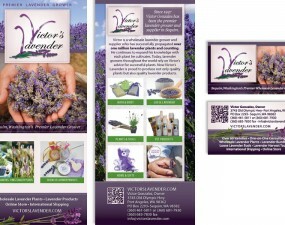 Branded designs include their website, rack cards, business cards, Facebook images, stationery and product labels. 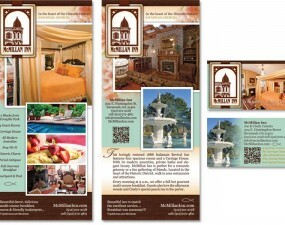 Custom Website, rack cards and business cards. 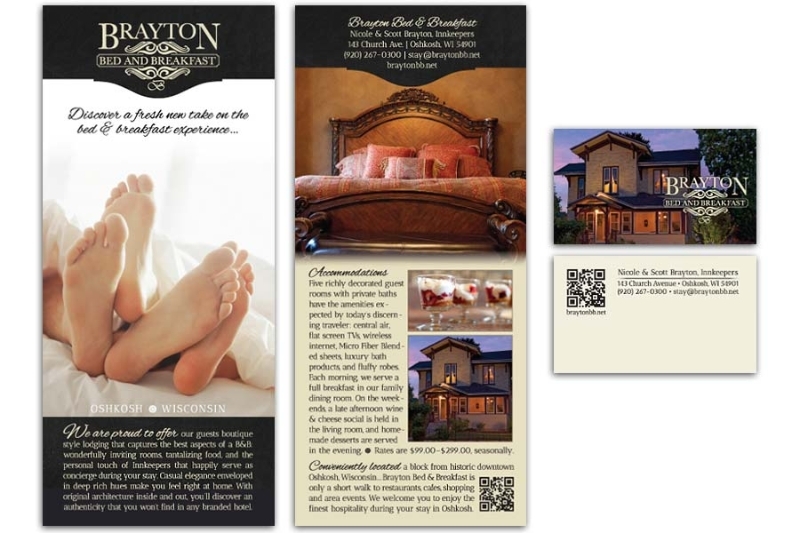 Rack Cards and Business Cards. 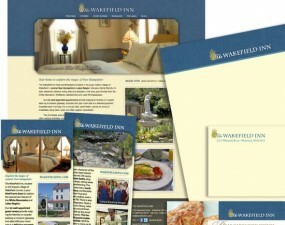 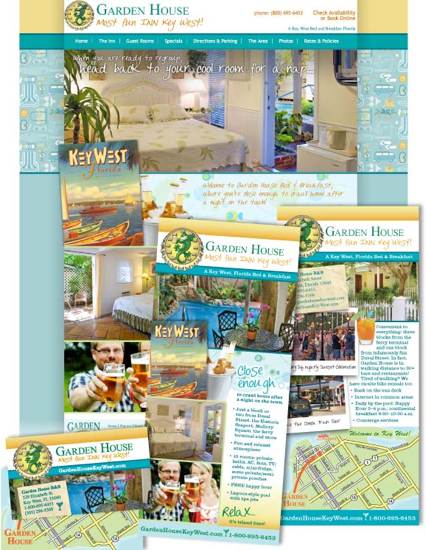 Branded designs include website, rack cards, postcards, e-newsletter template and note pads. 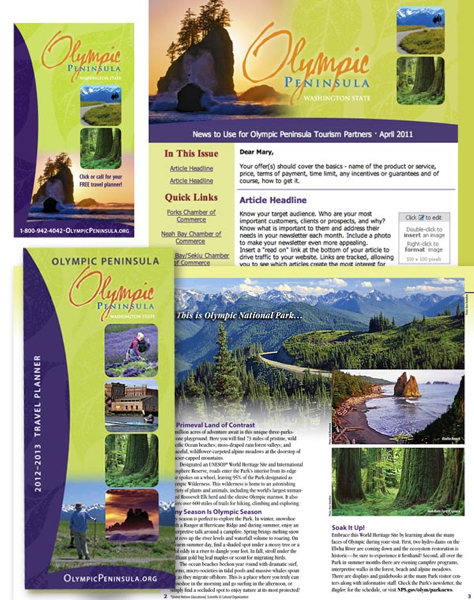 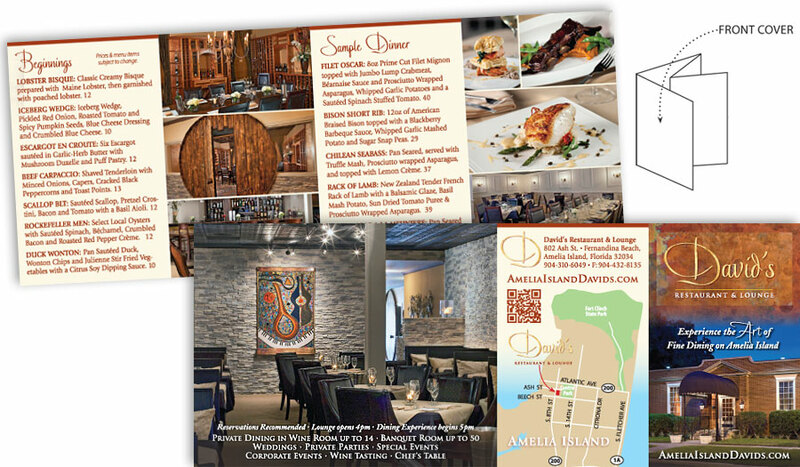 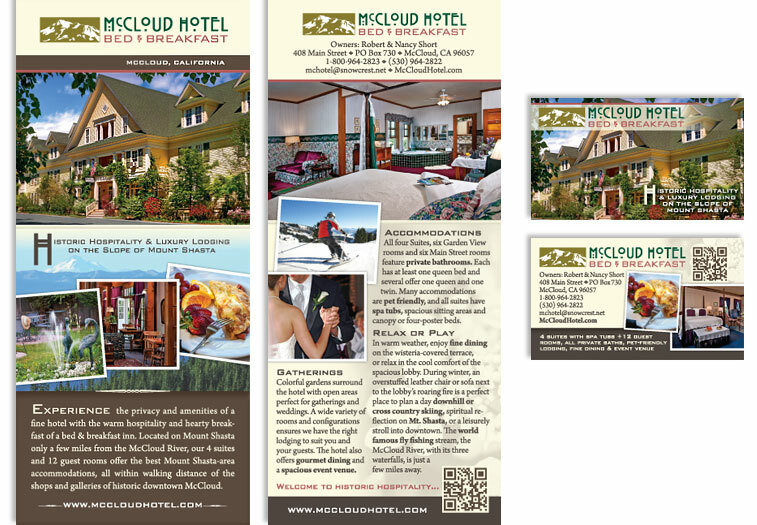 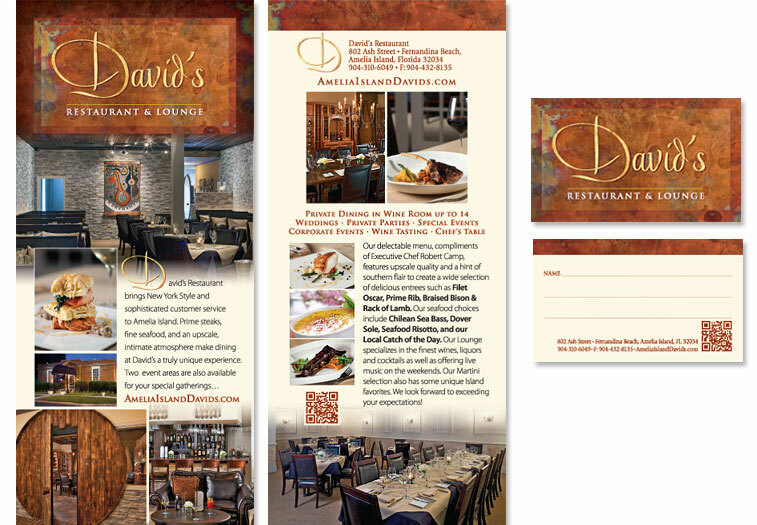 8-panel mini brochure with sample menu folds down to a compact 2.5 in by 4 in. 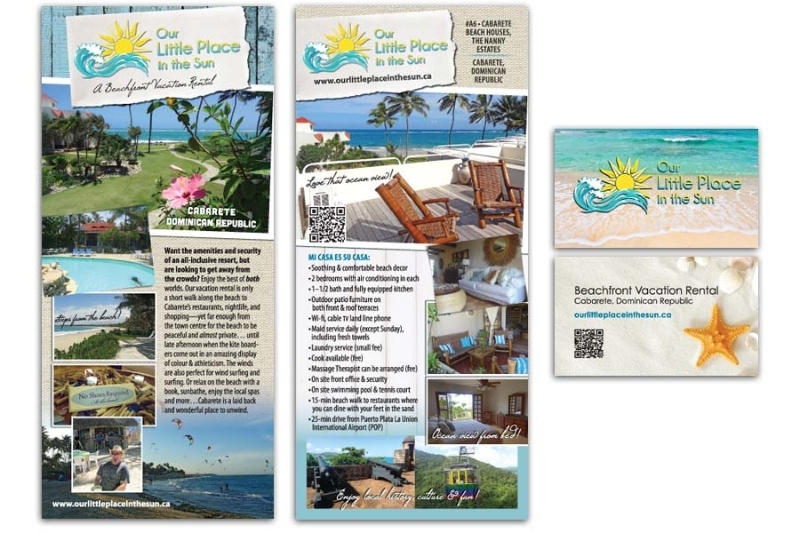 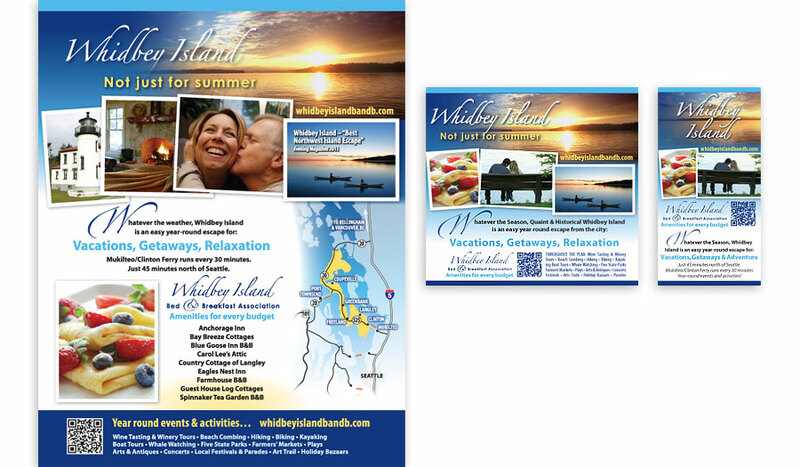 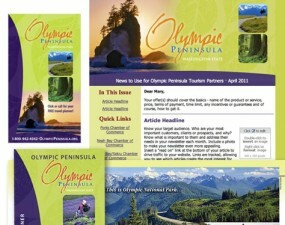 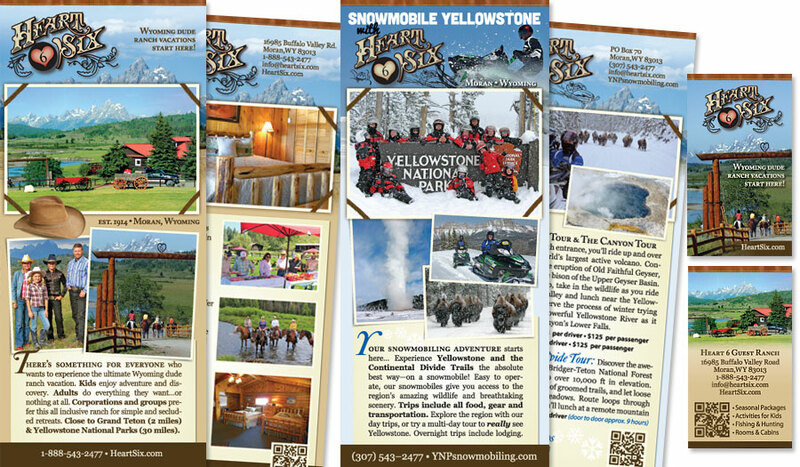 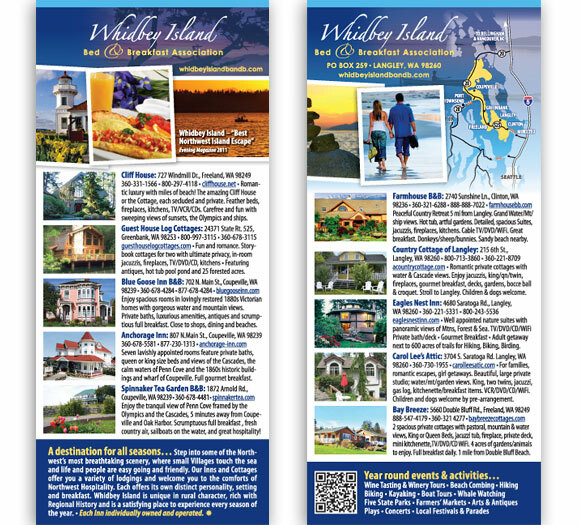 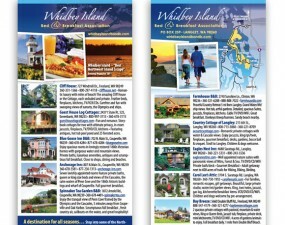 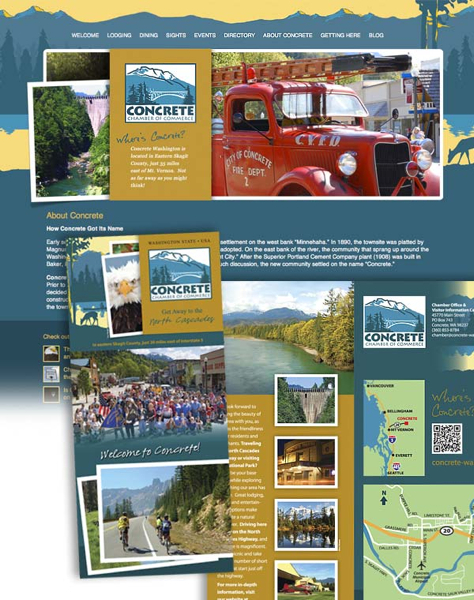 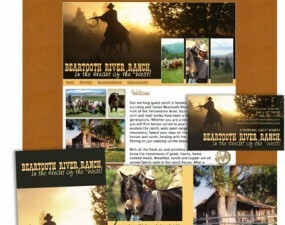 Post Cards were created to match their website. 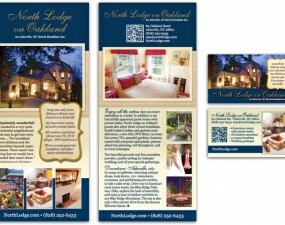 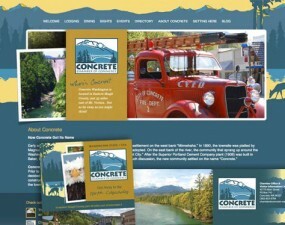 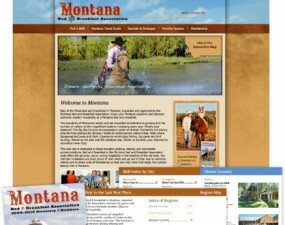 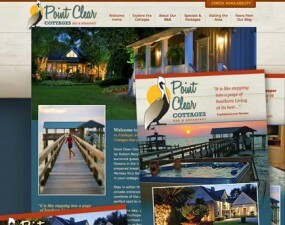 Branded designs include their website, rack cards, business cards, stationery, Facebook images ,and enewsletter template. 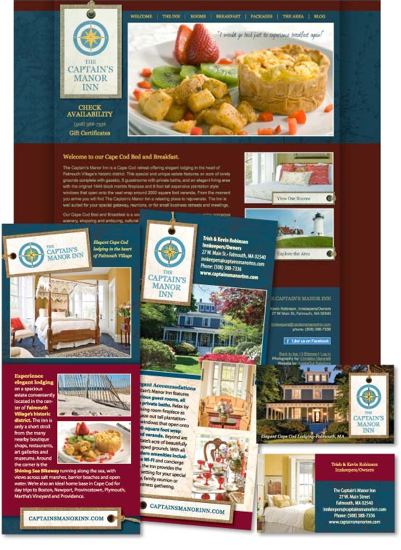 After creating a new logo and overall visual branding, the look was applied to their website, product labels, rack cards, business cards, and print advertising. 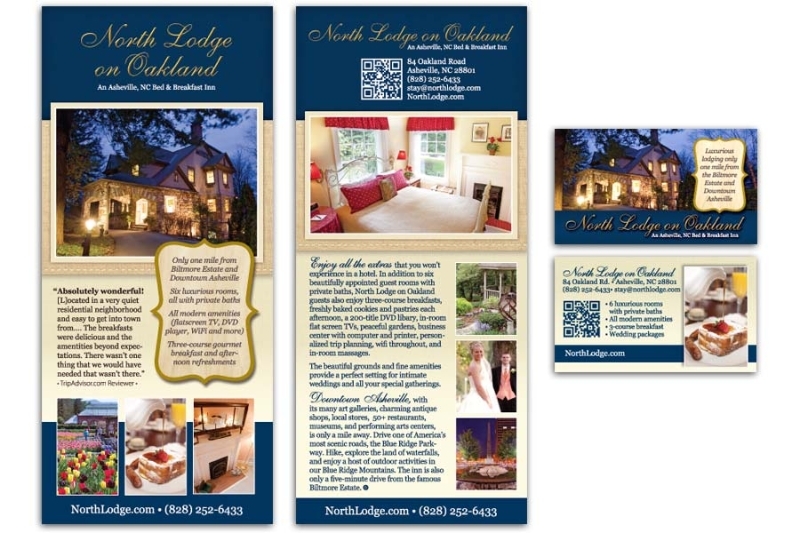 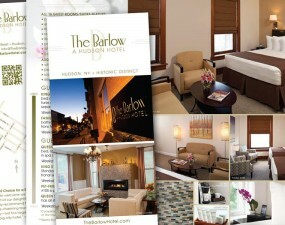 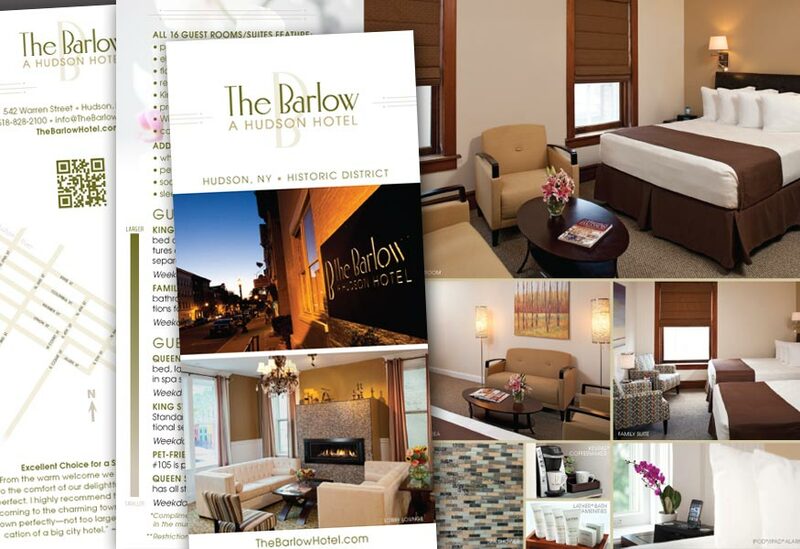 After redesigning the website, the new look was used to create a matching rack card and business card set. 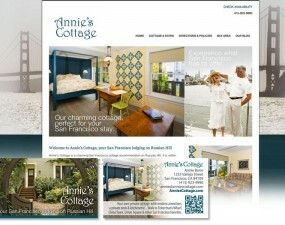 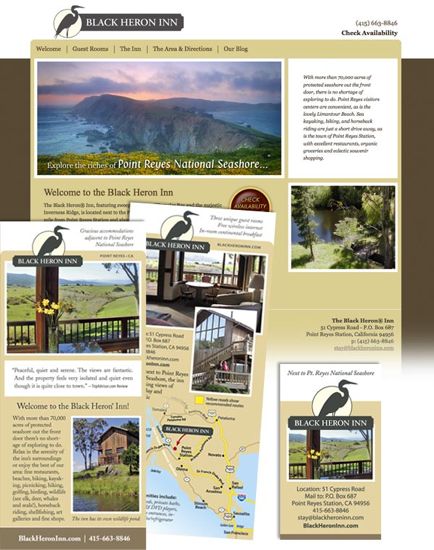 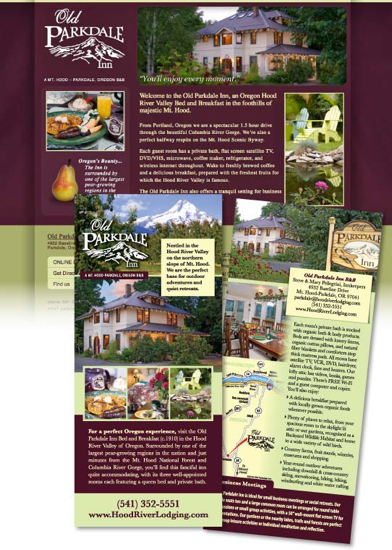 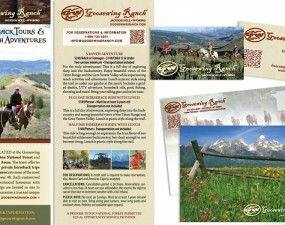 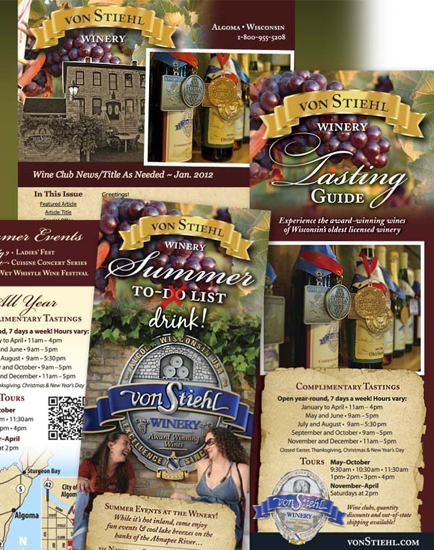 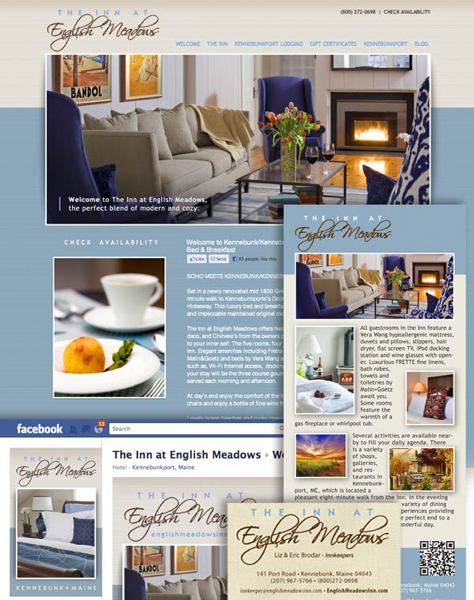 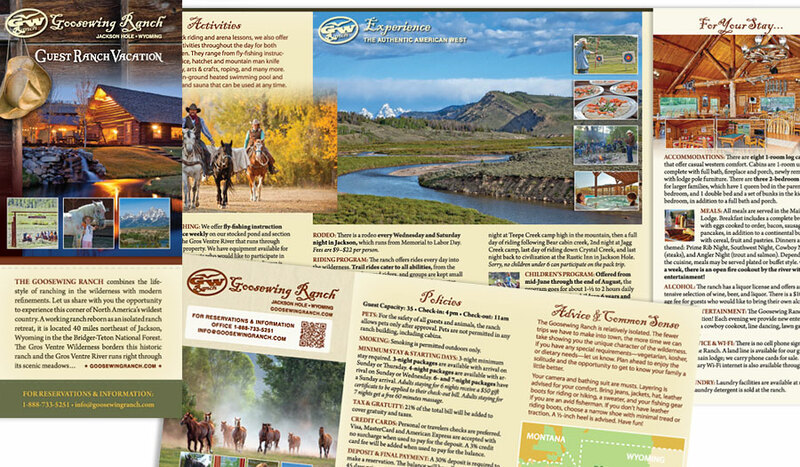 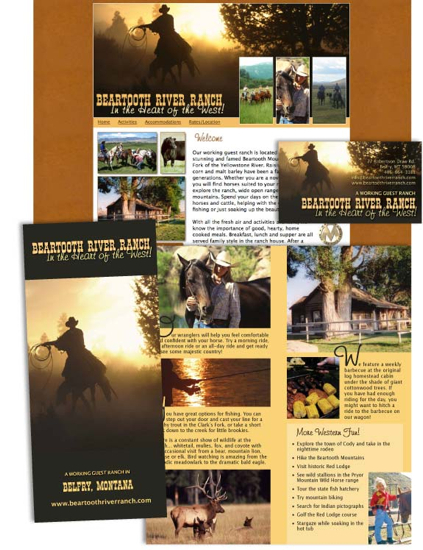 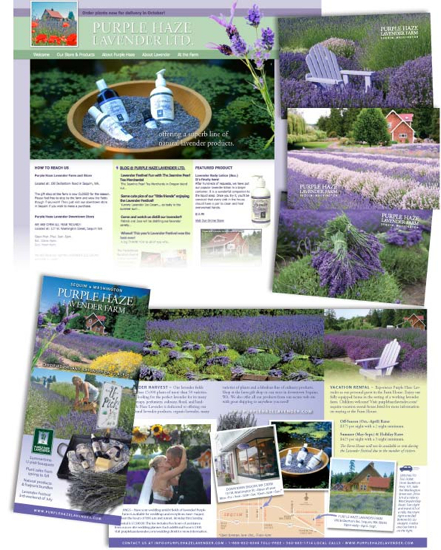 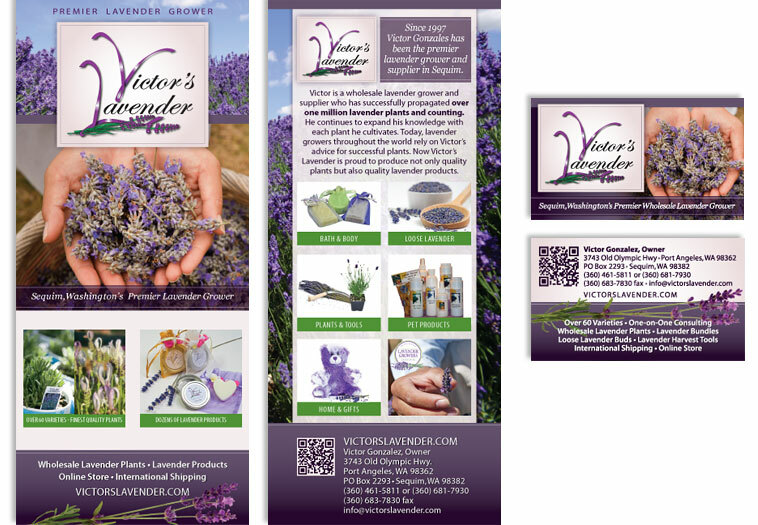 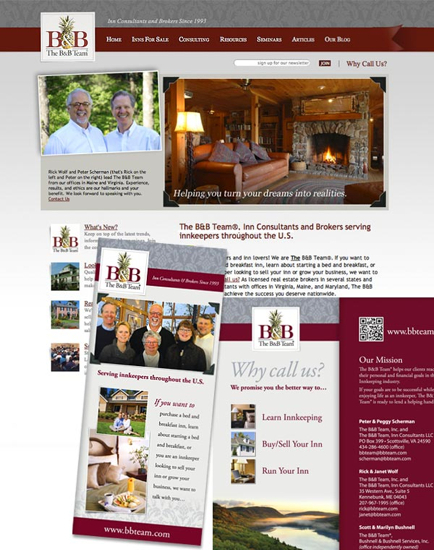 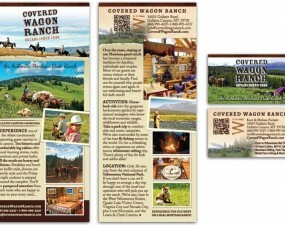 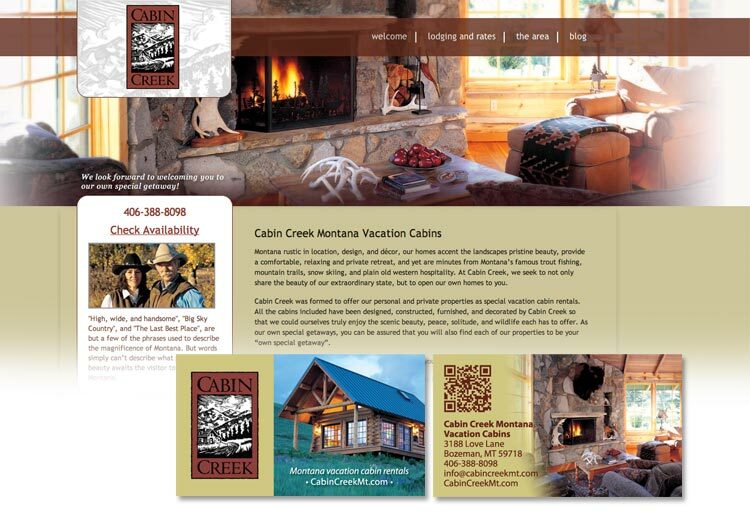 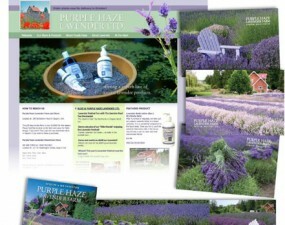 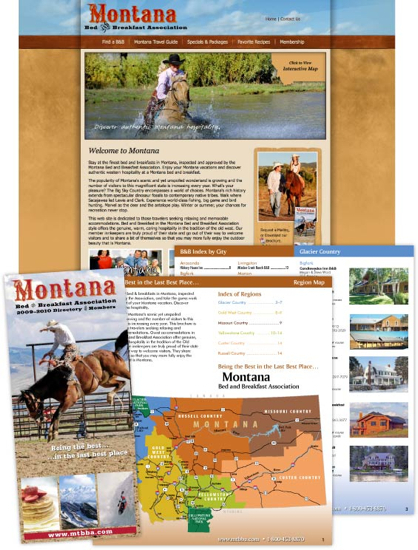 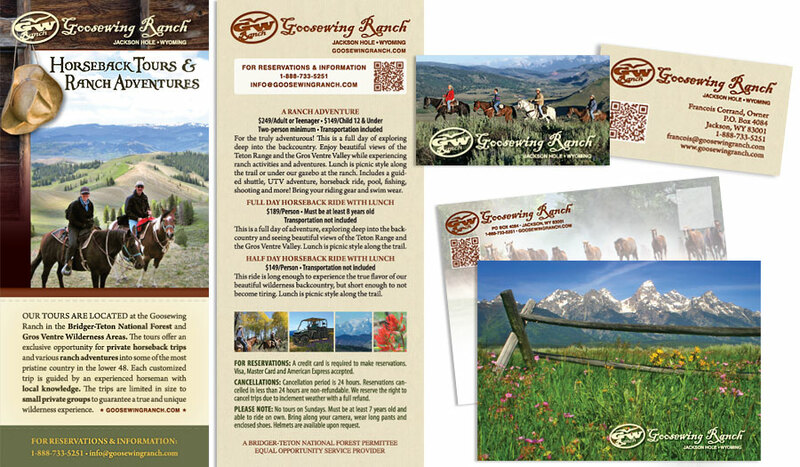 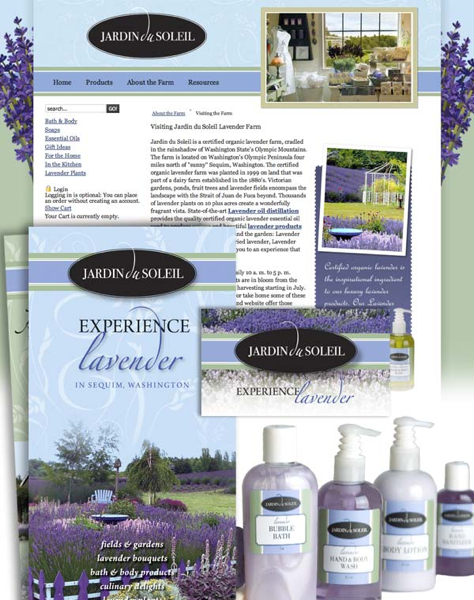 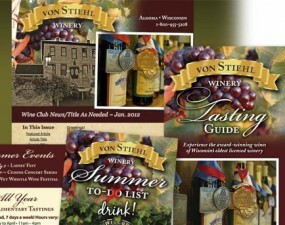 Website, rack cards, tasting guides, brochures, wine labels and more .